It has been an uncharacteristically bad week for Sen. Dianne Feinstein, D-Calif. First, her quiet effort to engineer a substantial drought relief bill for California washed out to sea. After working all year with Republicans for a compromise, this week Feinstein encountered surprise opposition from her own political base. In fact, her very willingness to work with Senate Republicans prompted cries from liberals and environmentalists that her bill would benefit corporations more than drought-stricken Californians. As the left-leaning Mother Jones magazine reported, Feinstein’s bill concerned “management of the Central Valley Project, a federally owned irrigation system that moves water from California’s Sierra Nevada mountain range to farmland in the state’s main growing region, the Central Valley.” There, water flows controlled by the federal government — not Sacramento — have become essential interests to California’s large almond and pistachio growers. As California’s drought has persisted, the size of their crop has attracted the attention of observers around the country and the world: 82 percent of earth’s almonds are grown in the Golden State, along with 98 percent of America’s pistachios. With foreign demand for California nuts rising, any substantial reduction in output would not only cause economic problems in the U.S.; it would reverberate overseas as well. As Mother Jones further reported, political jockeying over federally controlled California water has been playing out all year in Washington, D.C. California Republicans in Congress sought to roll back relatively tight federal requirements on usage, drawing fire from Gov. Jerry Brown and a vow from president Barack Obama of a veto. 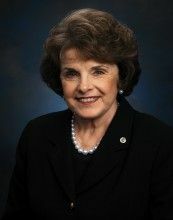 Feinstein shook up the predictable partisan battle lines, however, when she entered into careful and quiet negotiations with Central Valley Republicans in the House of Representatives. She recognized their constituents — the growers single-handedly propping up large sectors of the global nut market — were key to any federal reorganization of California water use. She then sidestepped largely Democratic representatives in San Joaquin Delta districts. An anonymous Republican source told the Chronicle that Feinstein’s response — yanking the bill — spread shock through GOP negotiators. “We were 99 percent there,” the source said. “Out of the blue, members started receiving calls” from Feinstein explaining the deal was dead and negotiations were over. According to the Chronicle, Feinstein will present a new bill in January — “under ‘regular order,’ which involves an open committee process and public debate.” By then, Feinstein will be in the minority party as Republicans take over control of the Senate after their Nov. 4 electoral victories. As if the water wars weren’t enough, Feinstein was confronted with indirect criticism from some fellow Democrats over her husband, Richard Bloom, a businessman and regent for the University of California. Nonetheless, the tuition hikes went through on a 14-7 vote of the regents. 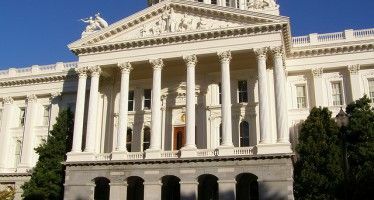 But as CalWatchdog.com reported, Brown is resourceful and the intramural Democratic tuition battle is far from over. Losing Democratic majority status in the Senate; having her water bill fall through; a Brown-Bloom rift over tuition. The next year looks to be nothing but headaches for California’s long-serving senior senator. Gordian knots at every turn. A civilized society paralyzed by the uber high tech rich and sprout eating No. Calif. hippies. Two bucks for a decent size apple or a few Roma tomatoes. A juicy green bell pepper a buck. And you wonder why approximately 24% of Californians are in poverty. Well, I agree on the point you are making but after all, we have Mexican and Chinese veggies to eat, right? No James, it’s Sen. Dianne Feinstein, D-Bloom.